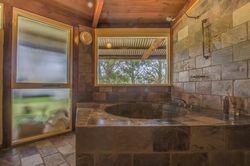 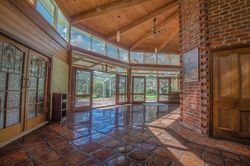 This beautifully unique mud brick property is an octagonal configuration, offering an open plan style of living. 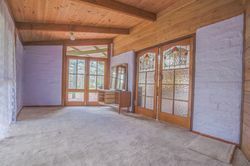 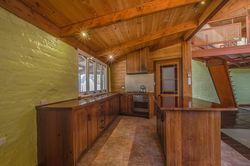 The home has numerous features which include hardwood timber tiles to the main living dining area, a solid timber kitchen with walk in pantry, a slate bathroom including bath with over shower, cathedral ceilings and a wood heater and open fire located in the central brick column. 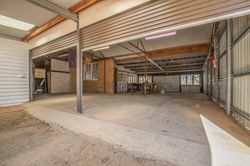 In addition, there are 4 spacious bedrooms and a very large office which could easily be utilised as a further bedroom suite, a good sized laundry with a second w.c. and an evaporative cooling system. 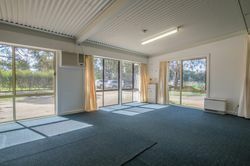 In addition to the main residence is a detached office/annex which could be ideal as a home office, treatment room or guest accommodation. 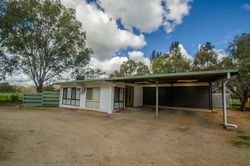 Located just minutes from Numurkah this property is nestled amongst mature gardens with substantial gum trees and has an impressive tree lined driveway. 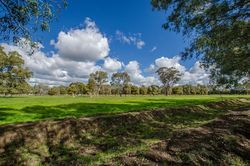 There are 16.18Ha/40Ac of land divided in to multiple paddocks, laid for irrigation and benefit from natural shade. There are a solid set of cattle yards with loading ramp and crush, a large tool shed, and a machinery shed. 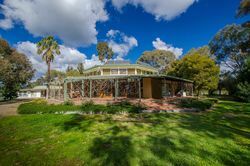 This sustainable property has a 2.5Kw solar system, 0.53 delivery share, stock and domestic water and tank water. 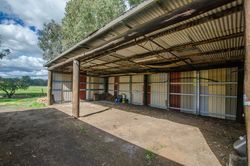 This aesthetically pleasing property is ideal for a family who enjoy the outdoors and any hobbies that require acreage living whilst been situated close to amenities and services.